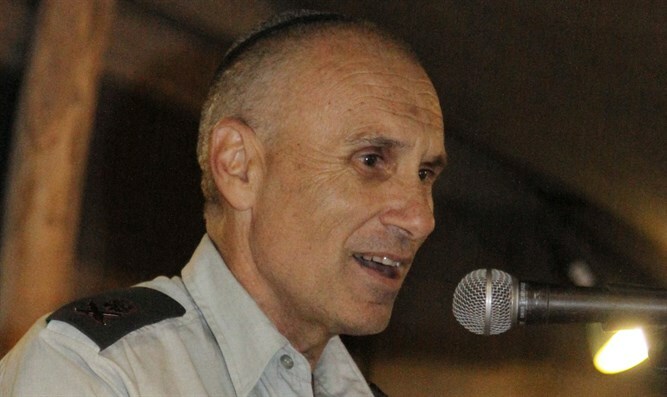 Maj. Gen. Gershon Hacohen says Israel should wean itself off US military aid, as government seeks to sign new Memorandum of Understanding. As Israel's acting National Security Council chief Yaakov Nagel heads to Washington to push for the signing of a new memorandum of understanding (MOU), one senior former Israeli general has spoken out against American aid to Israel. Maj. Gen. (Res) Gershon Hacohen, former commander of the IDF's Northern Command and head of the army's war colleges, told Defense News Monday that military aid actually harms Israel more than it helps the Jewish state. Hacohen, who has been outspoken on this issue before, called for a gradual reduction in Israeli reliance on US military aid, which "harms and corrupts us." "It requires leadership, but if this could be done in a calculated, well planned manner, it would restore our sovereignty, our military self-sufficiency and our industrial capacity," Hacohen stated. Specifically, Hacohen notes that under the aid agreement, Israel must spend a significant portion of the aid it receives in the American defense industry, harming Israel's domestic economy. But the current MOU under discussion is even worse, he argues. In exchange for $8 billion in additional aid, the US administration is demanding the removal of a clause which allows Israel to convert at least part of the aid money into shekels to invest in Israeli research, development and procurement. But in announcing Nagel's visit to the US - in which he will be meeting "his counterparts from the White House in order to sign a new memorandum of understanding between the two countries as soon as possible" - Prime Minister Netanyahu's office insisted terms of the agreement not be changed. "Israel places great value on the predictability and certainty of the military assistance it receives from the US and on honoring bilateral agreements," it said. "Therefore, it is not in Israel’s interest for there to be any changes to the fixed annual MOU levels without the agreement of both the US administration and the Israeli government." But Hacohen believes that Israel reliance - "predictable" or not - is inherently harmful to Israel innovation. "Israel is so addicted to advanced US platforms, and the US weaponry they deliver, that we’ve stopping thinking creatively in terms of operational concepts," he warned. "For generations, we’re locked into thinking about how to improve technologically; and this is not necessarily the correct thinking when dealing constantly innovative enemies in asymmetric conflicts." The secular general quoted from a leading medieval Jewish Biblical commentator to illustrate his point. He cited the story of the dove sent out by Noah after the Flood, who returned with a bitter olive leaf which signified that dry land had reemerged from the floodwaters. "According to Rashi, who was one of the most important pillars of Jewish thought, this story teaches us that liberty has a price; that it’s better to have a bitter leaf taken directly from the hand of God than to be given something sweet as honey by mortal men," Hacohen opined. "The lesson here is that the bitter taste of things we accomplish on our own is preferable to the sweet privileges than can imprison us."